With a little help, veterans of American wars can share their stories with the world and the future through the Veterans History Project. The veteran members of the Greatest Generation, in particular, are a shrinking group, but their memories of war and sacrifice are bright, and worth preserving. Usually, we bring you stories of notable seniors who are making news. This month, we are showing you the way to help your veteran report their own story. Caregivers, home care aides and loved ones can get local help and professional advice to involve friends and loved ones in the Veterans History Project. Do you know a veteran? Do you enjoy their stories of the time they spent serving our country in times of conflict? Have you wished that everyone could hear the comical, exciting or inspiring memory that your loved one shared with you? Launched by the Library of Congress in 2000, “The Veterans History Project of the American Folklife Center collects, preserves, and makes accessible the personal accounts of American war veterans so that future generations may hear directly from veterans and better understand the realities of war.” The world lost the last combat and trench warfare veterans of World War I in 2011. Only several hundred thousand of the 16 million U.S. soldiers who served in World War II are still alive, and in 2017, more than 57,000 of them lived in California. There are San Diego war veterans with stories to tell, and the Library of Congress wants to hear them. According to the Project’s website, “Veterans who served in the U.S. military, in any capacity, from WWI to the present, regardless of branch or rank, and are no longer serving are eligible. VHP accepts the stories of veterans as defined by the Department of Veterans Affairs: ‘A person who served in the active military service and who was discharged or released under conditions other than dishonorable.’“ And U.S. citizen civilians who actively supported the war effort by working in war-related factories (Rosie the Riveters), at the USO, as a flight instructor, or as a medical volunteer, are also invited to share. San Diego is a city with a long military history, and nearly 14,000 personal stories already recorded in the Project database involve service in or passage through one of California’s military bases during WWI and WWII. 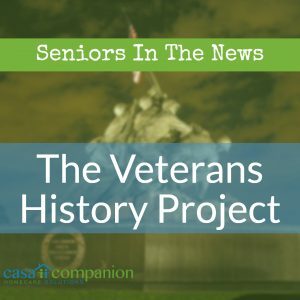 The Veterans History Project website has a Field Kit available for anyone interested in collecting the story of a loved one, a neighbor, a resident at the local nursing home, or a senior in your care. Legal heirs can also share the wartime photos and letters of a deceased veteran with the Project. Remember, the video, audio, photos, documents and memorabilia you collect will become part of the Library of Congress, so the guidelines are strict. If we’ve inspired you to participate in the Project, but you want some assistance, Representative Scott Peters’ office will help you record a personal video that meets the submission requirements. 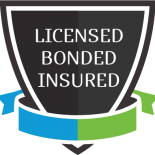 You can sign up online, by submitting your information here, or by calling the office at 858-455-5550. Or, you can solicit the help of a Rancho Bernardo historian who records veterans’ stories all around San Diego as a field volunteer. Stan Smith, who turned 18 in 1946, conducts interviews and captures veterans’ memories in honor of his brother, who died during the Allied invasion of Sicily in 1943. Stan is known for his knowledge of history, and skill in drawing long-held memories out of stoic veterans. If you want to conduct your own interview, turn to the king of the interview-based documentary, Ken Burns. He and PBS produced a field kit after his most recent documentary, The War, that lays out all his advice and techniques for conducting memoir-style filmed interviews. Designed specifically for the Veterans History project, the kit has sample questions, war research resources, location and equipment advice, and tips for handling memorabilia. The Veterans History Project is a stunning collection of first-person accounts, photos, and memories of Americans at war. The veteran in your life may have a grand historical purpose for sharing, or simply want to talk about his or her experiences during the one of the defining fights of the last century. 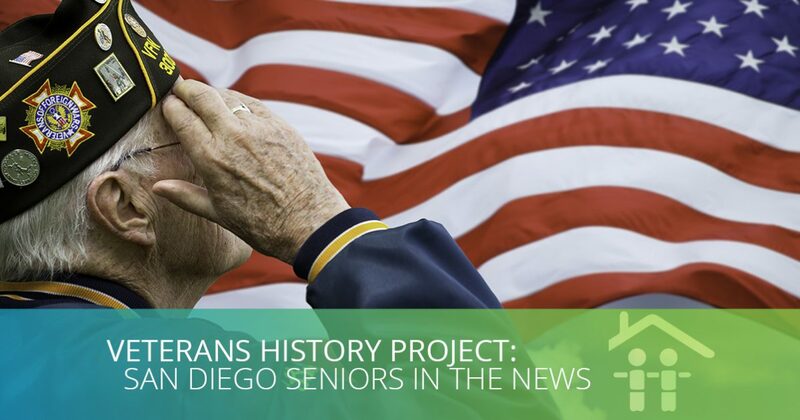 Veterans of any U.S. war who want to share their stories, and caregivers and relatives of veterans who want to help them, have resources available in person in San Diego.